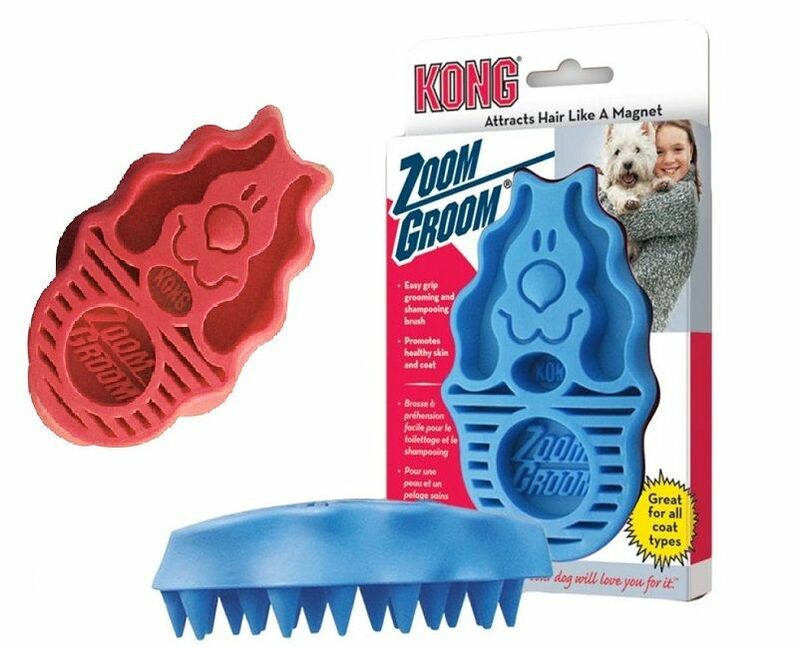 Dog Massage brush Zoom Groom from KONG. The special, ergonomically-shaped dog brush that removes loose hair like a magnet and it stimulates capillaries and natural oil production for healthy skin and a healthy coat. It's is easy to handle and clean. 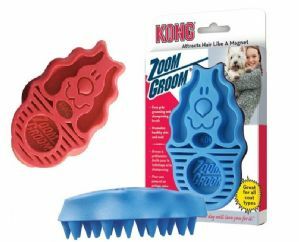 The Zoom Groom's "fingers" reach even through thick and tousled fur to the skin below and gently comb out dead hair and dirt. Appropriate for removing hair and use with shampoo. Comes in two colours: raspberry and boysenberry.